The creators who enter The Geekie Awards inspire us daily with their hard work, dedication to craft and passion for what they do. As part of this effort, we bring you the Creator Spotlight Series! Aiming a spotlight on those who are already shining bright. Dark Horse Presents, published by Dark Horse Comics on May 20, 2015, and serialized across eight issues. 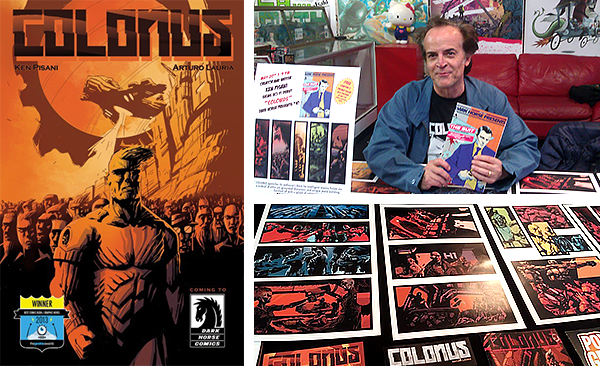 Created and written by Pisani, COLONUS features art by award-winning Italian artist Arturo Lauria. 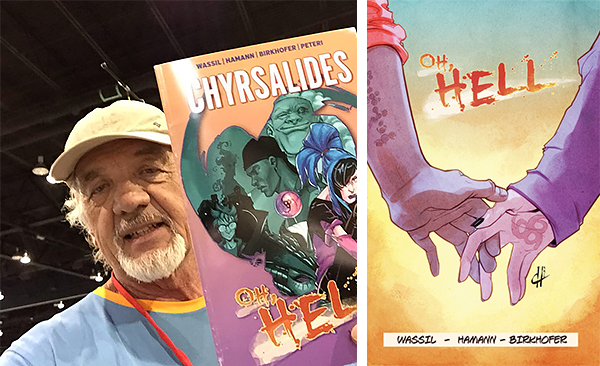 Oh, Hell creator George Wassil took center stage at Denver Comic Con this past weekend, publicizing his award-winning book. George was also featured on Krypton Radio’s ‘The Event Horizon’ podcast as a special guest. Listen to the interviewhere. The creative team has been collaborating in the development of several feature film scripts… will we see an Oh, Hell movie?! When Eric Powell and Dark Horse Comics teamed up to kickstart a film based on the award-winning comic book The Goon, it was a huge success! The Kickstarter page blew our judges away with it’s engaging videos (like the trailer above), interviews and production art. Fingers crossed we’ll be seeing The Goon in theaters soon! 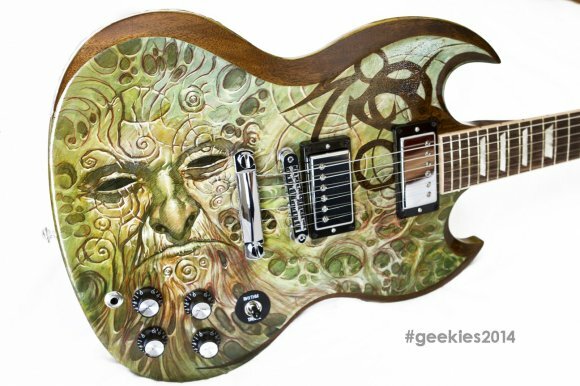 Oh, and we’d be silly not to mention the custom painted Gibson guitar Eric Powell created for our 2014 Geekie Awards charity auction last August… I know, we’re jealous of the new owner too! View more guitar photos here.